The main objective of the Foundation is to create equal higher education opportunities for students from low-income families, who experience problems with paying their tuition fees, through providing long-term low-interest loans and grants to them. The Foundation’s mission is to provide free and equal access to the higher education through the provision of concessional loans and grants for the students from low income families. -	grade point average – GPA (above 70 out of 100). 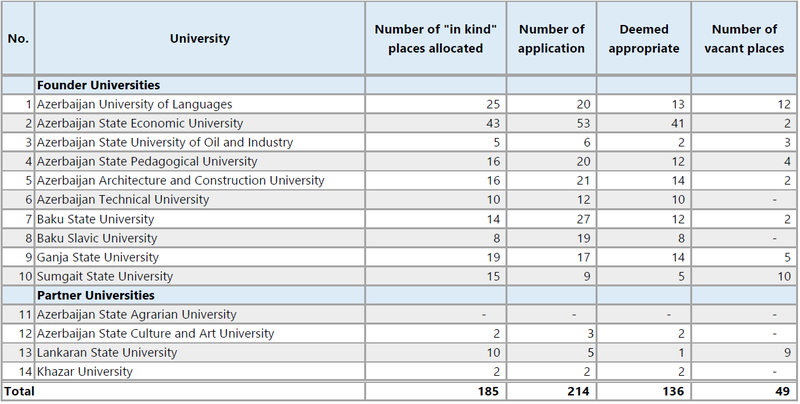 Since 2016, the Foundation has signed 136 contract with students in the amount of 223,687 AZN (132,925 USD). The Fund started its operation in 2016. Currently, financial audit for the fiscal year 2016 is being conducted. The audit process will be completed in June.